Updates in Nephrology for the Primary Care Provider is organized by University of Michigan Health System (UMHS) and will be held on May 11, 2019 at The Inn at St. John's, Plymouth, Michigan, United States of America. This CME Conference has been approved for a maximum of 6.25 AMA PRA Category 1 Credits™. Target Audience : This activity is appropriate for: House Officers, Medical Students, Nurse Practitioners, Nurses, Other Healthcare Professionals, Physician Assistants, Physicians In the fields of: Family Medicine, Internal Medicine, Nephrology Course Description : The Updates in Nephrology for the Primary Care Provider course will educate health care providers on the most up-to-date information on different types of kidney issues including kidney stones, electrolytes, and nephrotoxins and help providers in determining optimal treatment for these issues. Course Objectives : At the end of this activity, participant should be able to: • evaluate a patient with kidney stone, and advise the patient on pharmacological and life-style modifications to help reduce recurrence risk. • provide an initial evaluation and therapeutic interventions for patients with abnormalities of electrolytes. • counsel patients on supplements and medications that can lead to kidney injury. • work with a nephrologist to co-manage patients on dialysis. • understand patient individual learning and communication styles to improve patient-provider communication. • help patients manage the issues of diet and kidney disease. A printed syllabus can be purchased for an additional fee. The printed syllabus must be purchased no later than Friday, April 26, 2019. 7th Annual Internal Medicine Spring Review is organized by University of Michigan Health System (UMHS) and will be held from May 17 - 18, 2019 at The Inn at St. John's, Plymouth, Michigan, United States of America. This CME Conference has been approved for a maximum of 11.25 AMA PRA Category 1 Credits™. Target Audience : This activity is appropriate for: House Officers, Medical Students, Nurse Practitioners, Nurses, Other Healthcare Professionals, Physician Assistants, Physicians In the fields of: Cardiovascular Medicine, Critical Care Medicine, Endocrinology, Family Medicine, Gastroenterology, General Medicine, Hematology/Oncology, Hepatology, Internal Medicine, Nephrology, Other Healthcare Professions, Primary Care, Pulmonology, Rheumatology, Sleep Medicine, Sports Medicine, Urology Course Description : In it's 7th year, the highly popular Internal Medicine Spring Review will focus on topics from hematology/oncology to general surgery, and endocrinology to pulmonology. 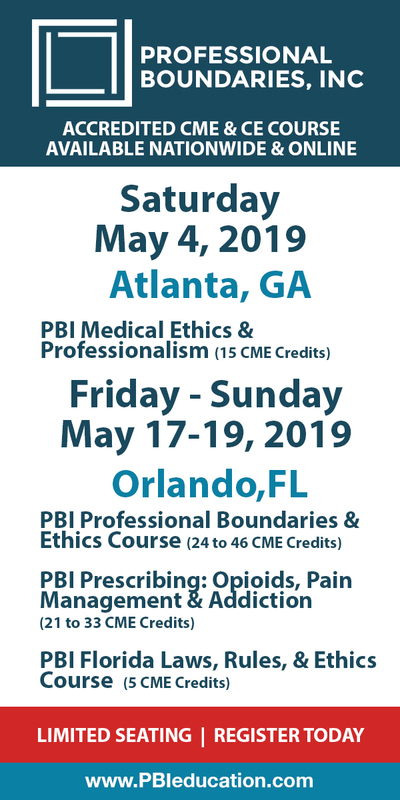 Each session aims to give attendees a new set of information to take back to their practice and provide better, more informed care to their patients. Course Objectives : This course is sponsored by the Michigan Medicine Department of Internal Medicine. The objective of this course is to provide a combination of comprehensive and brief reviews and updates across various specialties including Allergy, Cardiovascular Medicine, Endocrinology,Gastroenterology, General Surgery, Hematology and Oncology, Infectious Diseases, Pharmacology, Neurology,Orthopedics, and Rheumatology. Participants will be able to implement up-to-date strategies regarding the evaluation,diagnosis, treatment, and management of many medical conditions commonly seen in the hospital or office. Additional details will be posted as soon as they are available. 11th Annual Detroit Regional Sports Medicine Symposium is organized by Foundation for Orthopaedic Research and Education (FORE) and will be held from Jul 18 - 19, 2019 at The Inn at St. John's, Plymouth, Michigan, United States of America. 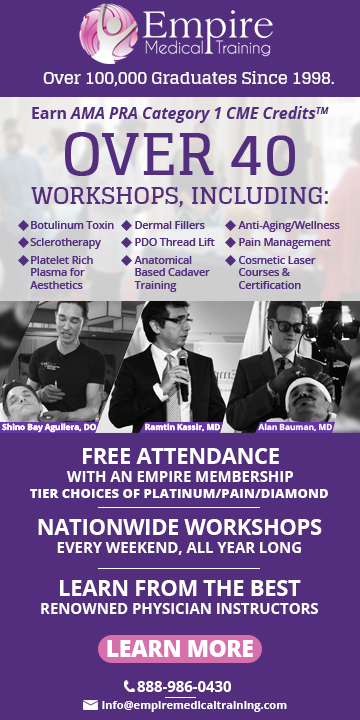 Target Audience: Attending physicians, residents, fellows and other healthcare professionals who are interested in the specialties of sports medicine, orthopaedic surgery, PM & R, primary care and also physical therapists and athletic trainers. Course Description: The Detroit Regional Sports Medicine Symposium is dedicated to a multiple specialty, multi-faceted approach to the treatment and prevention of sports related injuries. In the face of lifestyle changing issues or injuries, we strive to return every individual to abilities at or above pre-injury levels. We accomplish this goal for individuals and athletes of every age and skill level allowing them to lead healthy, active, injury-free lives. Objectives: • Increase knowledge of current trends in the diagnosis and management of complex orthopaedic injuries • Increase knowledge of current trends in non-surgical management of injuries and review evidence based treatment recommendations • Increase knowledge of current trends in sports medicine Additional details will be posted as soon as they are available. Pharmacology of Analgesia and Pain Control is organized by University of Detroit Mercy School of Dentistry and will be held on Jul 19, 2019 at The Inn At St. John's, Plymouth, Michigan, United States of America. This Course has been approved for a maximum of 3 CEUs. Course Overview: Pain is the most common symptom that a dental patient is presented with. The participant will receive an overview of different pain types and syndromes as well as best practice to manage pain. Pharmacology of pain medications will be discussed in detail Course Objectives: At the completion of the course participants will be able to: • Discuss common types of pain medications used by the dental patient • Understand how the management of pain affects the quality of life of the dental patient • Develop an awareness of misconceptions and consequences of untreated pain • Recognize different types of pain and identify appropriat e analgesics for each type • Discuss the pharmacology of analgesic medications • Understand that all team members have a role in assessment and treatment of pain Additional details will be posted as soon as they are available. Esthetic and Functional Solutions for Periodontal and Implant Conditions is organized by University of Detroit Mercy School of Dentistry and will be held on Nov 15, 2019 at The Inn at St. John's, Plymouth, Michigan, United States of America. This Course has been approved for a maximum of 6 CEUs. Course Overview: This presentation is designed to revitalize periodontal and dental implant knowledge, topics relating to clinical periodontics, specifically classification, periodontal therapy, gingival recession coverage and gummy smile correction, regeneration techniques for teeth and implants, bone and sinus grafting will be covered using case scenarios from a combined restorative periodontal perspective. A practical approach will be used to review the periodontal and implant procedures to aid the clinicians in day-to-day practice Course Objectives: At the conclusion of this course participants will be able to: • Identify best therapies to correct bone loss • Understand guided tissue regeneration concept • Analyze the esthetic smile from a restorative and periodontal perspective • Recognize how to treat short clinical crowns and gummy smile • Understand recession classification for predictable results • Select appropriate treatment for gingival recession based on clinical scenarios around natural teeth and dental implants • Identify types of alveolar ridge deficiency • Describe treatment options for horizontal versus vertical bone loss • Select proper surgical principles to correct bone and gingival deficiencies Additional details will be posted as soon as they are available.